Baking soda is a staple in my house. Whether I keep a box in my refrigerator, or keep it around for house cleaning, it gets used daily! So what is baking soda – exactly? 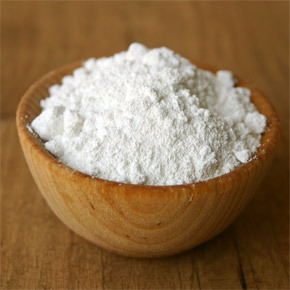 Baking soda is known as ​​sodium bicarbonate in the scientific world. To everyone else, it is basically a chemical salt. Baking soda can be used for both cooking and cleaning. Since I’m a professional house cleaner, my knowledge of baking soda specializes in the house cleaning aspects of baking soda and I want to share some uses for cleaning around your house with just baking soda. First, why is baking soda such a great cleaning tool? Well it has a very fine gritty texture to it, so it makes a nice gentle abrasive cleaner. It’s cheap, non-toxic, and it is environmentally safe. Here are some great uses for baking soda to help your house cleaning be a safe and non-toxic experience! Bathroom Cleaner Clean your bathroom (bathroom tub, sinks, tiles) by sprinkling some baking soda on a sponge, scrub, rinse, then wipe dry. Carpet Pet Odors Sprinkle your carpet with baking soda and let sit overnight. Vacuum in the morning! Chrome Surfaces Mix baking soda and water to make a paste. Apply the paste to the chrome surfaces, and then buff it dry. Crayon Markings Soak a sponge in warm water, and dip it into baking soda then scrub the crayon markings. Jewelry Gold and silver jewelry can be cleaned with 3 parts of baking soda mixed with 1 part water. After rinsing the jewelry clean, buff with a soft, lint free cloth. Keep Drains Clog Free Pour​​ 1/4 cup baking soda down the drain on a weekly basis. Run hot water afterwards for about 10 seconds. Lawn Furniture Use a baking soda solution to clean your lawn chairs: ​1/4 cup baking soda mixed with 1 quart of warm water. Microwave Dip a damp sponge into baking soda and scrub the microwave clean. Rinse afterwards. Vinyl Shower Curtains Scrub the shower curtain with baking soda on a damp sponge. Rinse and let it hang to dry. I hope you found these baking soda for house cleaning tips useful. Let me know your favorite use for baking soda! The Cleaning Duo is an elite house cleaning company – at affordable prices in Denver, Highlands Ranch, Castle Rock, Parker and Littleton. You won’t find better rates with the quality of house cleaning we provide. Request a free estimate here.